Have you gotten into the wooden bead trend yet? One of my favorite ways to try out new fashion trends is by making home accessories with the same principles in mind. Instead of a project you can wear around your neck, these projects will make your BBQ a little bit fancier. 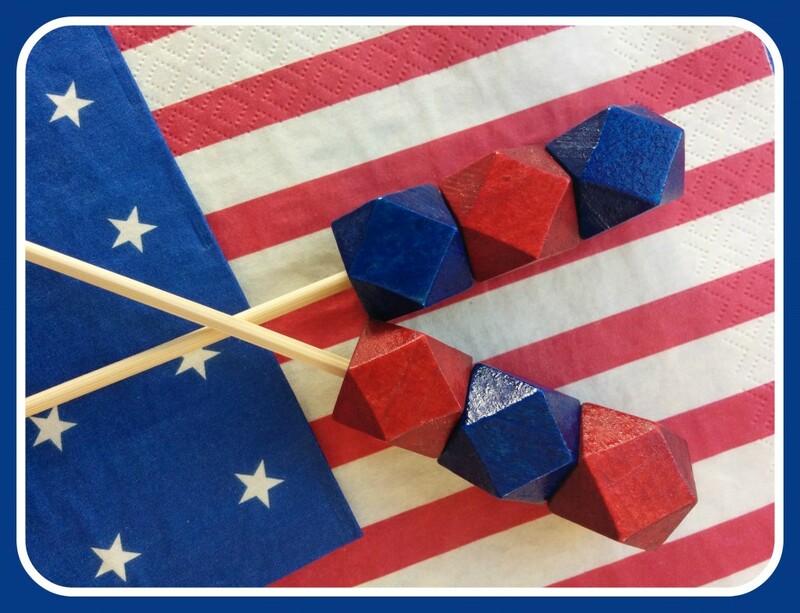 With July 4th right around the corner, this would be a perfect occasion to try these out! 1) Start assembling the skewers. I plopped beads of tacky glue to one end of the bead, and allowed it to seep in a bit while doing the same to the other two beads. Some glue will pool in between the beads- this is okay! It helps the beads stay securely together at the end of your skewer. 2) Lay them flat to dry. You won’t need to worry about the glue dripping off- tacky glue doesn’t drip much, and sets up rather quickly. You’ll know the glue is completely dry when it is clear. 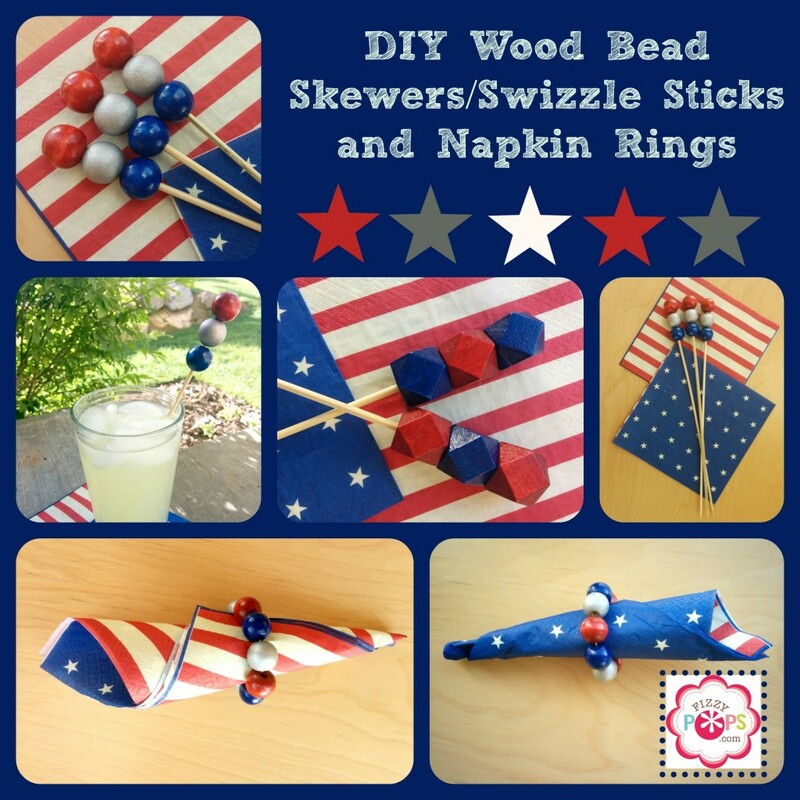 You can use these skewers for kabobs, or trim the ends with scissors and use for drink swizzle sticks. After each use, soak the skewers in vinegar, let them air out- and they’re ready to use again! Enjoy! * below is a skewer with our geometric wood beads, as you can see the sky is the limit! Be creative! Now onto our next fancy accessory to go with the skewers/swizzle sticks...napkin rings. 1) Simply follow our stretch bead bracelet tutorial, it is the exact same concept, just fewer beads. I used nine 16mm wooden beads for my rings.